Another convocation has passed here at UMPI, with the new class of 2022 getting its official UMPI welcome from the campus community. From very early on that day, the feeling on campus was filled with excitement and celebratory festivities. Students, faculty and staff started filling up Wieden Hall and taking their placement around the transformed basketball court. Each major had its own distinguished and proudly worn color, which created a sense of unity and belonging for the new students. The moment of truth was 11 a.m.: all were ready and placed in their seats, painted faces with various colors, holding up signs and making loud sounds. They all waited for the “new blood” to arrive and get this celebration started. The class of 2022 was divided into small groups that belonged to their majors. Each major marched into the room carrying its major flag, greeted by all the faculty and staff members, and then they took their seats in the middle of the room. Once everyone took their seats, the college deans, the president and a member of the senior class, Courtney Cote, made a series of introductory speeches and greetings. “This year’s convocation was a lot better than last years. 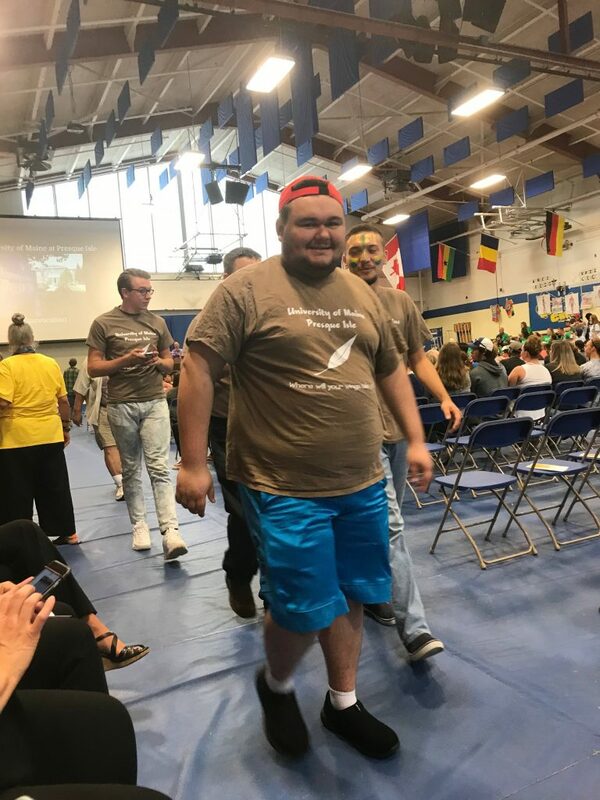 It was more powerful, and it felt like everyone was cheering for the new students, and showed their support,” Kris Cote, a sophomore in the history program, said. “Convocation is always exciting, especially as an upperclassman when you go and you think to yourself that you were just at your convocation not too long ago,” Bethany MacPherson, a junior in the art program, said.